In the state of Florida, motorcycle laws dealing with everything from helmets to lane usage are put into place for protection and safety. Adults have the option to wear an approved helmet or carry insurance. You must wear a helmet that is approved by the U.S. Department of Transportation, or you must carry insurance that pays at least $10,000 in medical benefits if you are in a motorcycle accident. If you are under the age of twenty-one, you must wear a helmet no matter the circumstances. A person under twenty-one may register his or her own motorcycle. If they do, it needs to have a special license plate. The plate makes the vehicle identifiable to the police as registered to someone who is under twenty-one. You must keep your motorcycle in good working condition. Motorcycle laws require a horn that works, and you must attach the license plate in a way that prevents it from flipping up or coming loose. You must have properly working brakes, but motorcycles do not need to have parking brakes. It is illegal in Florida to operate a motorcycle while wearing earbuds. However, Bluetooth is acceptable, and it is also okay to have an earpiece in one ear if the other ear is free to allow you to hear sounds as you drive. A motorcycle rider has the right to full use of the lane. Two motorcycles may ride next to each other in a lane; however, you may not pass a vehicle using the same lane that the vehicle is in on the road. You may also not ride between a lane and rows of vehicles (aka “lane splitting”). All other rules of vehicle traffic apply to you as a motorcycle driver. These are any laws that you have to obey as a motorist of any kind in the state of Florida. For example, speeding, right of way, signaling and other traffic laws apply. It is certainly still illegal to drive under the influence of alcohol or drugs. Drivers of vehicles with four or more wheels must have what is called “no-fault insurance.” This insurance pays for medical bills that a person sustains in a vehicle crash regardless of who is at fault for the crash. However, motorcyclists do not have to have this coverage. Even if a motorcyclist has coverage for a passenger vehicle, the vehicle insurance does not pay benefits if the person sustains an injury in a motorcycle crash. Even though motorcyclists do not have to get no-fault insurance, they do have to purchase financial responsibility insurance. A person who is at fault for a crash must show that they have liability insurance with certain minimums. If you do not have the required insurance, you can face suspension of your license, fees and other penalties. If you are injured in a motorcycle accident, you can recover damages from the other driver if the other driver is at fault for the accident. The state of Florida uses a system called comparative negligence. Even if you are partially to blame for the accident, you can still recover for your damages. Florida reduces the amount of your damages by the percent that you are at fault for the crash. For example, if you are hurt in a car crash, you might have $10,000 in damages. You go to court and a jury decides that you are 30% responsible for the crash. Instead of recovering $10,000, you can only recover $7,000. 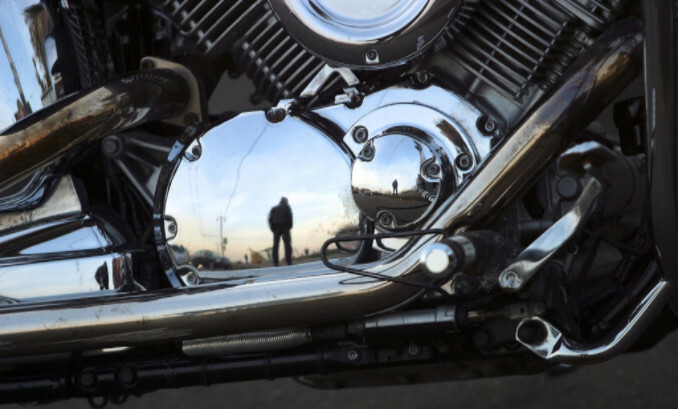 When you are hurt in a motorcycle accident, there are a few different types of damages you may be able to recover. The law provides for recovery for medical bills and lost wages if you are unable to work. There are also non-economic damages available for losses like pain and suffering, mental distress and even loss of companionship of a loved one. You may also have property damages. Those damages are limited to the amount needed to repair the property or compensate you for the destruction of the property. It is important to document your damages properly so that a jury is able to place a dollar amount on your losses. If you have been injured, the trusted Tampa motorcycle accident attorneys at Lorenzo & Lorenzo are prepared to take on your case. We understand the laws and legal processes involved in a Florida case. Call today for a free consultation.